There are many books that polarise their readership, causing some readers to swoon and others to spew (so to speak). There are not many books that polarise individual readers, causing them to swoon and spew simultaneously. I place Leviathan and the Air Pump: Hobbes, Boyle and the Experimental Life (LAP), the classic 1985 work on the history of science by Steven Shapin and Simon Schaffer, in the latter category. When I read this book for the first time, as a Masters student in History and Philosophy of Science, I was doubly impressed—firstly by the scope and subtlety of the argument, secondly by the conviction that said argument was seriously flawed. Time has not dulled these impressions, as I discovered when I reread the book a few months ago. The latest number of Isis carries ten essays on the book, none of which mention the deep problems that account for the negative part of my reaction—a reaction I have not just to this book but to many of the works that have been, and continue to be, influenced by it. The declared aim of the ten essays in Isis, which are collectively titled ‘A Second Look,’ is to ‘reflect on [the value of the text] not only in the past but also in the present.’ Now, I am all in favour of reflecting on old books—the older the better. But when the book has entered the disciplinary unconscious as thoroughly as LAP has done, the interesting question is not where its value lies (we all know it is valuable) but where its defects lie. We owe it to Shapin and Schaffer (SS for short) to treat LAP the way they treated Robert Boyle’s New Experiments on the Spring of the Air—as an exemplary text that we should read with a gimlet eye precisely because its methods and assumptions have become part of our intellectual culture. The most common criticism in the Isis essays is that SS generalise too confidently from their case study. They ignore earlier disputes between Thomas Hobbes and the Royal Society of London (Mordechai Feingold, Paul Wood), they eschew detailed comparisons to France and Italy (I. Bernard Cohen, John Heilbron), they ignore natural history (Paul Wood), they confuse the origins of the experimental method with its nature (Ian Hacking), and they state without argument that ‘solutions to the problem of knowledge’ are always ‘solutions to the problem of social order’ (Heilbron again). There is a grab-bag of other criticisms: too much jargon (various), too little philosophy of science (Sargent), unnecessary use of Hobbes to cast light on Boyle (Sargent again), and underestimation of Hobbes’ backwardness (Wood). These criticisms have their merits, but they do not go far enough. Before explaining why, let me summarise the virtues of the book, in case my aforementioned admiration seems insincere and in case any readers of this essay are unfamiliar with the book’s argument. The second virtue is that this thesis is defended in a coherent manner across all eight chapters. The third virtue is that each of these chapters is memorable for the novelty of its concepts and the thoroughness of its empirical research. I remember chapter one for its witty denunciation of past studies of Hobbes’ natural philosophy; chapter two for the phrase ‘virtual witnessing’ and for its microscopic study of Boyle’s moralistic language; chapters three and four for excavating Hobbes’ natural philosophy and tying it to his political philosophy; chapter five for narrating the tortuous negotiations between Boyle and various critics of experiment; chapter six for showing that even the champions of experiment had trouble replicating them; and chapter seven for explaining why all this was relevant to Restoration disputes about religious toleration, press censorship, and legal expertise. That’s what SS get right. Here’s where they go wrong. 1. LAP attacks a thesis that no-one has ever held. This is the thesis that scientists can obtain meaningful results without doing anything. SS think that ‘in common speech, as in the philosophy of science, the solidity and permanence of matters of fact reside in the absence of human agency in their coming to be’ (23). This claim is repeated on pages 77 and 150; it is attributed to Boyle (77) and to Hobbes (150, 225, 282); and it is implied by the second-to-last sentence of the book (‘Knowledge, as much as the state, is the product of human actions’). Surely it is obvious that knowledge is the product of human actions. Certainly this was obvious to James B. Conant, the author of ‘Robert Boyle’s Experiments in Pneumatics,’ the 1948 account of Boyle’s pneumatics against which SS define (4) their own account. I find many human actions, and much human agency, in Conant’s work—indeed I find almost nothing but actions and agency. 2. LAP overstates its findings by equivocating on key terms. Why have critics been so slow to notice that SS were attacking a straw man? Partly, I suspect, because SS equivocate on the phrase ‘matter of fact.’ This equivocation means that SS appear to show, for example, that the pressure of the air is due to human agency (a dramatic claim), when in fact they have only shown that Boyle’s beliefs about the pressure of the air owed a lot to human agency (a claim of crashing banality). SS also confuse a theory about the nature of truth (ie. the theory that true statements are those that correspond to the world, like a portrait to its subject) with a theory about the acquisition of truths (ie. the theory that these correspondences come about in an unmediated way, as a reflection comes about in a mirror). SS assume, correctly, that many philosophers hold the former theory. They infer, incorrectly, that many hold the latter theory (18, 23, 150). Finally, SS appear to confuse the idea that beliefs are caused by actions with the idea that they are caused by nothing else. On the last page they write: ‘as we come to recognise the conventional and artefactual status of our forms of knowing, we put ourselves in a position to realise that it is ourselves and not reality that is responsible for what we know’ (344, my italics). In other words: the things we do affect our beliefs, therefore reality does not affect our beliefs. Compare: the things we eat affect our health, therefore the things we drink do not. 3. LAP preaches a method it does not practice. The authors advocate ‘an asymmetrical handling of accepted and rejected knowledge’ (11). They fall short of this ideal, not because they reject Boyle’s views in their last sentence (‘Hobbes was right’) but because the argument of the book hinges on such a rejection. Why were Boyle’s experiments so hard to replicate? Because, SS argue, all experiments can be turned against their creators by ‘displaying the work’ that goes into them--in other words, because Hobbes was right (chap. 6, esp. 226, 281-2, 186). Again: why was there ‘nothing inevitable’ (13) about the favourable reception of the experimental method? Because Hobbes’ ideas were ‘believable’ at the time (13). How do SS argue for this? In large part, by playing down the weaknesses in Hobbes’ ideas and playing up the weaknesses in Boyle’s. SS balk at the idea that Hobbes might have ‘misunderstood’ Boyle (that would be asymmetric, they say on p. 12), and they do not point out the inconsistencies in Hobbes’ views on man-made experiments (Hobbes says he rejects man-made experiments, yet he accepts the ones that support his metaphysics, and he says that man can know only what he makes). Yet SS invoke misunderstanding when Hobbes is not involved (‘failed to grasp,’ 266), and they frequently point out the inconsistencies in Boyle’s views (162, 163, 164, 166n., 175, 185, 187, 195n, 196). I fear that, like Laplace’s demon, SS load the dice by opening and closing their critical faculties at strategic moments. LAP would be more convincing if the authors dropped their pretence of epistemic neutrality—their claim that they are ‘not evaluative’ (12)—and acknowledged that their argument depends on engaging the reader’s evaluations of both Boyle and Hobbes. 4. LAP creates the false impression that the social and political dimensions of science have some sort of primacy. Yes, SS give blow-by-blow accounts of disputes in which they cover the material, literary and intellectual aspects of science in great detail. Yes, they suggest that the distinction between the socio-political dimension of science, and other dimensions of science, is wrong-headed (see point 5 below). They nevertheless imply that social order, social convention, and Restoration politics were paramount in the resolution of the Hobbes-Boyle dispute. Recall the book’s main thesis: experimental philosophy flourished in Restoration England because it was seen as an acceptable model for the resolution of disputes in society at large. In SS’s words, the experimenters offered ‘a functioning example of how to organize and sustain a peaceable society between the extremes of tyranny and radical individualism’ (341). A charitable reader might insist that SS leave the door open to other explanations of the experimenters’ success. Indeed, SS choose their words carefully: they say they are giving ‘an answer’ to the question of Boyle's success; they do not say they are giving ‘the answer’ (341, cf. ‘constituents’ on 283). And yet, SS seem to rule out the obvious intellectual explanation of Boyle’s success. This explanation is that Boyle's contemporaries valued true theories for their own sake (not just because they were politically expedient), that they valued Boyle’s method because his experiments were careful and numerous (not just because they were part of an open and harmonious community), and that they learned about Boyle’s method through his writings and actions (not just through the propaganda that Thomas Sprat and others wrote on Boyle’s behalf). SS do not exclude this explanation in so many words, but they drop several hints. They say that Hobbes’ methodological views were just as ‘believable’ as Boyle's, and that there was ‘nothing inherent in [Hobbes’ views] that prevented a different [ie. more favourable] evaluation’ (13). After summarising their thesis—that Hobbes and Boyle disagreed about the relationship between knowledge and social order—they write, emphatically, ‘That is what the Hobbes-Boyle controversies were about’ (15). They give a long list of ‘wants’ that the experimenters catered for, a list that does not include the desire to discover new and striking facts about nature (340-1). They conclude: ‘He who has the most, and the most powerful, allies wins’ (342). As for the political, so for the social. 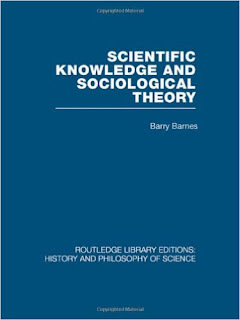 The common theme of chapters 2, 5 and 6 is that the ‘criteria and rules’ of the epistemologist cannot account for the complexity of scientific disputes. Instead, the ‘ultimate justification’ of the disputants’ statements lies in ‘forms of life’ (read: ‘social order’, as per 14-15) and in ‘social conventions.’ Thus SS ‘add weight to our view of matters of fact as social conventions‘ (52, 226, 281-2). - SS do not show that Hobbes’ ideas were ‘believable’ at the time, only that we can make them appear so by treating Hobbes and Boyle asymmetrically (see point 3 above). - they ignore plausible alternatives. Why not a large number of rules? Why not a small number of ambiguous rules? Why not epistemic conventions? - they do not explain how conventions succeed where rules fail. They hint (52) that rules fail to explain Boyle’s statements about causal hypotheses because rules are regular whereas Boyle’s statements are irregular. But conventions are also regular! - although they drop various hints about the meaning of ‘social,’ ‘convention,’ and ‘social order,’ they do not appear to explicitly define these terms. These terms are placed in italics (52), they appear in definitions of other terms (15), and they appear in statements of the book’s major theses (15, 282, 344). But their meaning is unclear to me. - the case studies in chapters 5 and 6 do not show that social phenomena are primary. These chapters identify many causes of statements made by Boyle and others. Some of these causes look like ‘social conventions’ to me, but many do not. Are the former causes indeed the ‘ultimate’ ones? I am not convinced. 5. LAP contains a misleading account of the internal/external distinction. Earlier historians had either debated the significance of ‘internal’ versus ‘external’ factors in past science, or dismissed the whole debate as wrongheaded. SS write (342) that they take a new position: we should retain the notions ‘external’ and ‘internal,’ but we should treat them as actors’ categories. We should ask ‘how, as a matter of historical record, scientific actors allocated items with respect to their boundaries (not ours).’ We should ask, for example, why Hobbes maintained that certain topics (such as the existence of the absolute vacuum and the merits of absolute monarchy) were within the bounds of natural philosophy, whereas Boyle believed otherwise. These claims should be taken with several grains of salt. As SS point out in their introduction to the second edition of LAP (xv, xxvii), the i/e distinction is closely associated with the intellectual/social distinction. And SS do not transcend the latter distinction. They favour one side of that distinction (see point 4 above), and in doing so they use terms (‘social order,’ ‘social convention,’ ‘form of life’) that were alien to both Hobbes and Boyle. In addition, SS’s account of the i/e distinction ignores a rich tradition of boundary studies by historians and philosophers of science such as Pierre Duhem, Alexandre Koyré, and Larry Laudan. These authors wrote extensively about the evolution of scientists’ views on the proper role of metaphysical and theological ideas in the natural sciences. The central insight of LAP, that different methods of science sometimes correspond to different sorts of polity, stands firm. In particular, experiment was an attractive model of dispute-resolution in Restoration politics. But LAP does not succeed in discrediting the traditional view that the experimental method flourished in part because it was perceived as a source of persuasive evidence for striking claims about nature (such as the claim that air is springy). LAP is novel in its emphasis on the role of manual labour in experimental research, and in the sheer detail of its descriptions of experimental work, especially the work of replicating a result with a new-fangled instrument. But there is nothing new in the idea that science is difficult. And SS show only that experiments are difficult, not that they are ‘inherently defeasible’ (111-2) or that experimenters are bound to assume what they are trying to prove (226). LAP also innovates by taking Hobbes’ ideas seriously and by pointing out some weaknesses in Boyle’s views. But SS have not shown that Hobbes’ views were, on the whole, more believable to his contemporaries than Boyle’s. LAP reveals new aspects of the social history of early experimentation. Some of these aspects are of wide interest (eg. the strength of testimony depends on the social status of the testifier). Others are specific to their time and place (eg. Boyle hid some inconvenient experiments from his critics). But the concepts ‘form of life’ and ‘social convention’ are unclear, and they are misleading insofar as they suggest that SS have discovered a new mode of historical explanation and/or a new argument for the primacy of social phenomena in science. LAP go beyond the internal/external distinction in the sense that they describe debates about the place of political philosophy and religious apologetics in natural philosophy. But the idea of historicising the boundaries of science is at least a century old. And LAP is an externalist book, in the sense that it assigns a special role to social and political phenomena in the resolution of disputes about science. Malheureusement je ne traduis plus tous les posts que j'écris sur ce blog. Si vous voudriez lire les posts qui ont été traduits, veuillez cliquer ici. Agrandir ce message. What can science studies do to solve the problem of post-truth politics? What can be done by historians, sociologists and anthropologists of science to stop the proliferation of 'circumstances in which objective facts are less influential in shaping public opinion than appeals to emotion and personal belief', quote Oxford Dictionaries' definition of 'post-truth'? Two answers suggest themselves. On the one hand, science studies is perfectly placed to address this problem because concepts such as 'fact' and 'objectivity', not to mention 'trust' and 'expertise,' are the bread and butter of the discipline. On the other hand, the discipline has such a complicated relationship with those concepts that one could be forgiven for thinking that it is part of the problem rather than the solution. To stimulate discussion on this question, I propose a thought experiment. Imagine we are in the year 2050, and we are looking back at media frenzy surrounding the size of the crowd at President Donald Trump's inauguration last Friday. What would science studies have to say about this episode? Would the discipline help in any way to promote reasoned debate over rhetoric and obfuscation? The obvious question is: which science studies? There is more than one version of the discipline. Martin Rudwick would not give the same account of the crowd episode as future Bruno Latour, and Lorraine Daston would perhaps not agree on all points with Sheila Jasanoff. For the sake of variety and realism, I will consider the episode through the eyes of three practitioners of science studies: a sociologist of knowledge, an actor network theorist, and a historical epistomologist. Since all of these practitioners define themselves against old-fashioned internalist historians, I start with the internalist's version of events. We now know*, thanks to data collected surreptitiously by the National Park Service and released at the end of 2017, that around 200,000 people were standing in the National Mall in the middle of Donald Trump's inaugural address on Friday 20 January, 2017. This is considerably smaller than the 460,000-strong crowd who were (as satellite images show) present at Barack Obama's inauguration in 2009. In the days after the inauguration, several news outlets reported the 2009 figure. Of course, without the National Park Service data, and without satellite images (which were unavailable due to cloud cover), these outlets could only give rough estimates of the size of the Trump crowd. But a few perceptive journalists recognised that the Trump crowd was smaller than the Obama 2009 crowd. They achieved this remarkable feat with a mixture of photo analysis, video analysis, ticket sale figures, and transport figures. These sources may seem primitive compared those we now possess, but with skilled interpretation they gave a remarkably accurate picture of the difference between the two crowds. The first persuasive comparison appears to have been published on the CNN website by the reporter Betsy Klein. Her most striking evidence was a side-by-side comparison of photos from the two events. Klein made the shrewd observation that, although the time of the Obama photo was not known, the Trump photo was taken in the middle of his speech, when the crowd was at its largest. Klein was careful to note that there were differences between the two photos (white plastic on the ground in the Trump photo, no plastic in the Obama photo) and between weather conditions on the two days (cold and clear for Obama, warmer and wetter for Trump). Klein pointed out that these differences did not affect her conclusion that the crowd on National Mall for Trump was (in Klein's words) 'significantly smaller' than that for Obama. In any case, the direct evidence of the photo was backed up by the indirect evidence from a public transport authority, which showed that twice as many people rode the Washington subway on the morning of Obama's speech than on the morning of Trump's. Against this claim, the Guardian reporter (Elle Hunt) presented the CNN photo comparison, a time-lapse video showing that the National Mall was never full at any stage on inauguration day, and more detail on transport figures. The transport figures were especially revealing of Spicer's carelessness and (one suspects) dishonesty. Spicer said that 420,000 people took the Washington metro on Trump's inauguration day, compared to 317,000 on Obama's inauguration day. Hunt calmly pointed out that the former figure applied to the entirety of Trump's inauguration day, whereas the latter only applied to the morning of Obama's inauguration. Moreover, Spicer's figure for Obama applied to his 2013 inauguration, not to the 2009 event, when an impressive 513,000 people used the Washington subway on the morning of the inauguration. In other words, more people took the Washington metro in the morning of the 2009 inauguration than in the course of the whole day in 2017. Purged of Spicer's confusions, the transport figures show the opposite of what he claimed. The affair descended into farce on the evening of Sunday 22 January, when Kellyanne Conway, counselor to the President, defended the Press Secretary on the grounds that he gave 'alternative facts' about the size of the crowd. It is a fact that Trump's crowd was smaller than Obama's, she implied. But it is also a fact that Trump's crowd was bigger than Obama's. The CNN has its facts, and the White House has its facts. These facts might contradict each-other, but they are no less facts for that. Not content to tear up Obama's Affordable Care Act, the new administration apparently intended to repeal the law of non-contradiction as well. Unfortunately for Trump, and fortunately for almost every one else, logical principles cannot be suspended as easily as political ones. Even Spicer appears to have conceded this. At a press briefing on the following Monday, the Press Secretary backed down from the claim that Trump's crowd was the largest ever for an inaugural address. He also admitted that ridership figures did not support this claim. His attempts to cloud the issue by deflecting the blame onto a Washington transport authority, and by conflating the physical crowd at Trump's inauguration with the TV and internet audience, could not hide the fact that he was beating a sheepish retreat. My thought experiment is set in the future because much work in science studies is done by scholars who look back on past debates that have since been resolved. For example, they look back on the seventeenth-century debate about the speed of light in the knowledge that we have found many proofs of the finiteness of the speed of light since 1700. Realism demands that the crowd-size debate is a past event from the point of view of my imagined science scholars. It must also be a debate that is resolved by 2050. A problem looms. As I write this, the debate continues, so we do not know for sure what the 2050 consensus will be about the size of the crowd at Trump's inauguration. We do not even know whether any new evidence will come to light on the matter. As per the internalist's first paragraph, I am going to assume that new evidence does come to light, and that it shows that Trump's crowd was significantly smaller than the one at Barack Obama's inauguration in 2009. I could have assumed the opposite. But I am writing for scholars in the present, not for scholars in 2050. Scholars in the present - or at least those who read this post - are probably convinced that Trump's crowd was smaller than Obama's. Now, the role of the internalist has usually been to endorse the current consensus on scientific questions, whereas the role of other practitioners of science studies has usually been to remove the 'aura of self-evidence' that surrounds the current consensus. Accordingly, in my thought experiment, the role of the internalist should be to endorse the current consensus (at least among readers of this post) that Trump's crowd was smaller than Obama's. For this to happen, the current consensus in 2050 must be that Trump's crowd was smaller than Obama's. Some readers might protest that this stacks the decks in favour of the internalist. They might say that my thought experiment is designed to make my internalist look good (because he will look like an Obama supporter) and everyone else in science studies look bad (because they will look like Trump supporters). The problem with this complaint is that scholars in science studies usually say that their methods are entirely neutral, ie. they do not take sides in scientific debates, either past or present. If that is right, and if I represent the methods of science studies correctly in my thought experiment, no-one in science studies will look like a Trump supporter because no-one in science studies supports (or undermines) any of the subjects of their studies. Expand post. for the historiography of science. There has long been talk in the history of science about our alleged failure to write big picture histories. This talk goes back to at least 1993, when the British Journal for the History of Science published a special issue that was supposed to address the problem. The latest round of rumination on the topic is in July’s number of Isis, which featured several essays on the theme of the “longue durée.” The worry is that, for the last forty years or so, historians of science have been spending too much time writing exquisitely rendered accounts of particular people or episodes, and too little time stitching these episodes together to make some sort of coherent narrative. There is something to be said for this view, but there is much to be said for the opposite view, which is that we have too many big pictures, not too few. The challenge is not to stitch together our case studies to make new big pictures, but to merge the big pictures we already have. The fact is that there are more big pictures on the table than we are led to believe. In my last post but one I identified seven different theories about the second scientific revolution (SSR), an event that allegedly took place around 1800 and that transformed the theories and methods and institutions of science (see the end of this post for references). Surely seven theories is enough. It is enough from the point of view of time-management—we have our work cut out simply trying to understand and synthesise these theories, and we had better do that work before we try to add an eighth theory to the list. It is also enough from an epistemic point of view—if seven distinguished historians have applied themselves to task of building a theory of the second scientific revolution, surely they have constructed something that is worth keeping. Better to build on what they have done rather than start again from scratch. There is all the more reason to do so given the dearth of interaction between the authors of the seven theories. Michel Foucault’s theory was almost diametrically opposed to that of Gaston Bachelard, but the reader of Foucault’s book The Order of Things (1966) will search in vain for an attempt to deal with this conflict or even a recognition that the conflict exists. Thomas Kuhn did not mention Foucault, Bachelard, or Hélène Metzger in the article where he developed his own theory. John Heilbron has explained how his own theory differs from Kuhn’s but not how it relates to other theories. Pickstone mentioned Foucault and Metzger but not Heilbron or Kuhn. The work of cataloguing the big pictures on the SSR, let alone the work of reconciling the items in the inventory, has scarcely begun. All of this would be moot if the big pictures that I have been discussing had been crushed under the weight of critical empirical research. In that case we would be better off building again from new materials rather than foraging in the rubble of discarded theories. But I do not think that such a demolition has taken place. The Order of Things had its critics, but it survived them well enough to become, nearly three decades after its publication, the basis for Pickstone’s theory of the SSR. Kuhn’s theory also has its problems, but two of his sharpest critics (Heilbron and Floris Cohen) have retained the main idea of the theory, namely that early modern science is best understood as a convergence of mathematical disciplines and experimental ones. Two other active historians of science, Steven Shapin and Peter Dear, have built this idea into some of their own work. Shapin’s name may seem incongruous here. Is he not the co-author of Leviathan and the Air Pump (1985), and is that book not the classic example of a case study in the history of science, a miniature portrait rather than a big picture? And has Shapin not written that the resistance to “synthetic” histories of science is “one of the crowning achievements of our field”? [some assert that] during the last few decades historians have concentrated more and more on less and less and so produce fewer long-haul accounts; consequently, their work is less inviting and informative to policy makers than it used to be. An analysis of the Isis Current Bibliographies over the last thirty years does not support this characterization of trends in the history of science. To conclude, here is a big picture about the historiography of science, one that many historians of science appear to endorse. We used to write many big pictures. We stopped doing so because we discovered that the big pictures did not fit the facts, and that the very idea of big-picture history of science is wrong-headed. We have started to write big pictures again, but we still think that the old ones were wrong, and hence that the best way to build new ones is to piece together our new case studies. Here is a different big picture, one that I prefer. We never showed that the old big pictures were false. We set them aside for a range of reasons that had little to do with the evidence for them or against them. Some of these reasons were good (case studies allowed us to give a more rounded picture of science) and some of the reasons were dubious (the big pictures celebrated science, ergo they were false). Some claimed that big pictures were wrong-headed, but some of these people wrote big pictures anyway. Some of the new big pictures conflicted with some of the old ones, but usually because the new ones were inspired by other old big pictures (we replaced Butterfield with Bachelard, Koyré with Merton, and so on). True, the new big pictures were organised around “ways of knowing” rather than disciplines, but no-one ever explained why the former were preferable to the latter as a unit of analysis, and in any case the former histories were not as new as they looked (Pickstone was indebted to old histories of ways of knowing, such as Alistair Crombie’s, and to old histories of disciplines, such as Metzger’s history of crystallography). Because we believed that the old big pictures were wrong-headed, we did not bother to compare the new ones with the old. And because we believed that very few new big pictures were being written, we did not bother to compare the new ones between themselves. The upshot is that we now have an excess of big pictures and a deficit of serious reflection about how they are related to each-other. What we need, more urgently than new case studies or even new big pictures, is an understanding of the big pictures we already have. Metzger, Hélène. La genèse de la science des cristaux. Paris: Albert Blanchard, 1969. Bachelard, Gaston. La Formation de l’esprit scientifique: contribution à une psychanalyse de la connaissance. Vrin, 1934. 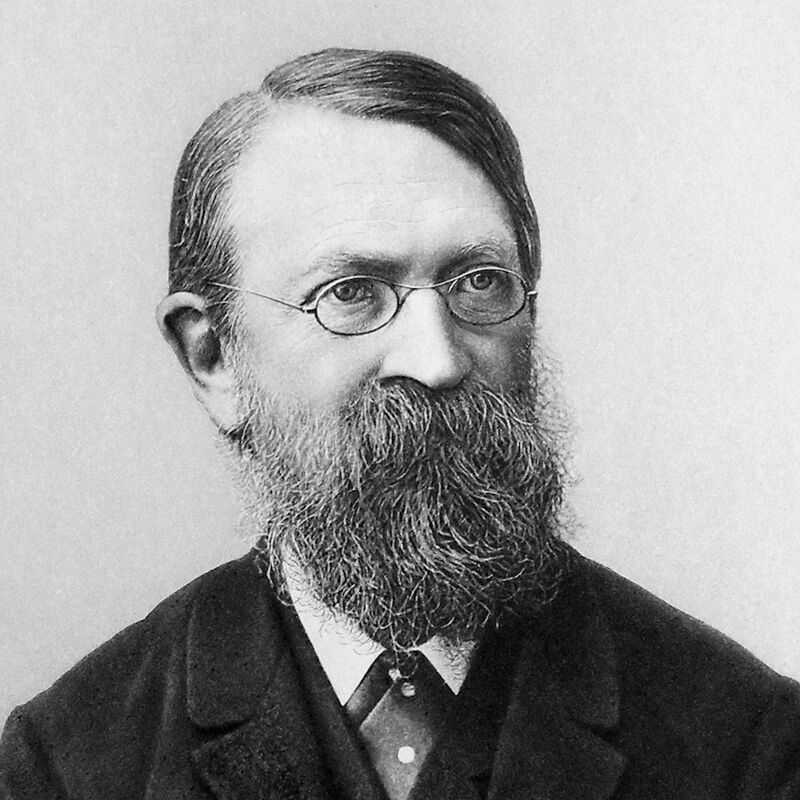 Kuhn, Thomas. "Mathematical Versus Experimental Traditions in the Development of Physical Science." Journal of Interdisciplinary History 7, no. 1 (1976): 1–31. Heilbron, John. Electricity in the 17th and 18th Centuries: a Study of Early Modern Physics. Berkeley: University of California Press, 1979. Frängsmyr, Tore, J. L Heilbron, and Robin E Rider, eds. The Quantifying Spirit in the 18th Century. Berkeley: University of California Press, 1990. Pickstone, John V. "Ways of Knowing: Towards a Historical Sociology of Science, Technology and Medicine." The British Journal for the History of Science 26, no. 4 (1993): 433–58. Shapin, Steven. Never Pure: Historical Studies of Science as If It Was Produced by People with Bodies, Situated in Time, Space, Culture, and Society, and Struggling for Credibility and Authority. Baltimore MD: Johns Hopkins University Press, 2010, p. 8. Shapin, Steven. "'The Mind Is Its Own Place': Science and Solitude in Seventeenth-Century England." Science in Context 4, no. 1 (1991): 191–218. Schaffer, Simon. "Natural Philosophy and Public Spectacle in the Eighteenth Century." History of Science 21, no. 1 (1983): 1–43. Schaffer, Simon. "Scientific Discoveries and the End of Natural Philosophy." Social Studies of Science 16, no. 3 (1986): 387–420. Heilbron, J. L. "Are Historians Fit to Rule?" Isis 107, no. 2 (1 June 2016): 350–52. Expand post. Haüy's crystallography-what did it have in common with Coulomb's physics and Cuvier's zoology? As I wrote last week, there are at least seven theories about the second scientific revolution (SSR), all of them claiming that science changed dramatically in the three decades on either side of 1800, none of them explaining how its assertions can be reconciled with those of the other six theories. Let’s assume for the moment that a reconciliation is possible and desirable. How might it be realised? How can we unite, in a single theory, the insights that are scattered across these seven different theories? Here is my proposal. It proceeds in three steps. The first step is to clarify John Pickstone’s idea that natural history and natural philosophy were two ‘layers’ that came into contact in the SSR (see the end of this post for the details of Pickstone's article and of the other works mentioned here). Lavoisier and Cuvier and Coulomb did not just join together two activities that had previously been done separately. They did that, but in doing so, indeed in order to do so, they changed the two activities. Take the crystallography of René-Just Haüy. Before Haüy, mineralogists had observed the different forms of natural crystals and explained these forms in terms of the way the crystals are formed in the earth. Like them, Haüy observed the natural forms of crystals. But, in addition, he observed the forms that resulted when he divided natural crystals along their lines of cleavage. And he explained the forms of the undivided crystals in terms of the divided ones. Haüy’s observations were deeper than those of his precursors (as Michel Foucault's theory predicts) and his explanations shallower (as Hélène Metzger's predicts). This is why Haüy was able (as Pickstone's theory predicts) to bring the two into very close contact. This is also why Descartes’ version of ‘analysis’ was not that same as Haüy’s. Both explained wholes in terms of parts, but Haüy had seen his parts whereas Descartes had not seen his, because Haüy had taken his wholes apart. 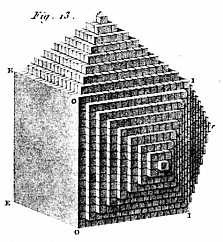 Likewise, Coulomb took his wholes apart when he measured forces between microscopic charges (or at least approximations thereof) rather than between macroscopic ones. The second step is to extend Thomas Kuhn’s idea of a convergence of mathematics and experiment so that it encompasses sciences that did not become mathematical during the SSR, such as the sciences of plants, animals and minerals. The key here is to see that taxonomy bore the same relationship to plants, animals and minerals as mathematics bore to motion, heat, light, magnetism and electricity. Consider the following parallels. Both taxonomy and mathematics had a long history of moderate success in certain domains—examples are Aristotle’s taxonomic treatment of animals and Euclid’s geometric treatment of light. Around 1700, both enjoyed some striking successes in their traditional domains—witness Huygens’ optics and Newton’s celestial mechanics on the one hand, and the botany of Ray and Linnaeus on the other. But both were unable to absorb certain theories and phenomena that came to the fore in 17th-century—compare the difficulty of absorbing the electricity of Hauksbee into the mathematical sciences and the difficulty of extending the anatomical findings of Edward Tyson to encompass all classes of animal. Yet, to a large extent, these difficulties were overcome in the decades around 1800—as Pickstone observes with respect to the comparative anatomy of Cuvier, and as Kuhn and Bachelard observe with respect to the electrical researches of Coulomb. Like John Heilbron, Toré Frängsmyr, and Robin Rider, I say that taxonomy and mathematics were part of a single trend in the last third of the eighteenth century. But unlike them, I say that they shared more than a concern for rigour, order, and system. They shared a history of convergence with their empirical subject-matter, a convergence that was already apparent around 1700 but that was much more comprehensive in the decades around 1800. The third and final step is to see that the first two steps are connected. Why did the conceptual tools of taxonomy and mathematics achieve such widespread success around 1800? Why did electricity become tractable to mathematics, and animals to taxonomy? Precisely because, in the study of animals and of electricity, observation had come into closer contact with explanation. By studying microscopic charges, Coulomb not only fitted his observations to his explanation but also ensured that his explanation could be mathematical in nature. That is one of Heilbron’s insights. He applied it to experimental physics, but it applies just as well to the study of plants, animals and minerals. Haüy, by cleaving crystals to reveal the geometry of their cores, paved the way for a classification of minerals in terms of their geometry. Cuvier, by studying skeletons, gave an account of animals that was both more closely grounded on observation, and more thoroughly comparative, than earlier accounts of animals. To sum up, the SSR was characterised by three convergences. The first was between explanation and observation. The second was between (on the one hand) the formal tools of mathematics and taxonomy and (on the other hand) the natural phenomena to which these tools were best suited. The third was a convergence of convergences, the mutual reinforcement of the new ties between (on the one hand) explanation and observation and (on the other hand) between formal tools and natural phenomena. So much for the theory. Is it true? Does it fit the facts? I don’t know, but I do know that it is derived from a set of theories that are based on extensive empirical research, namely the seven theories that I reviewed in the previous post. And the step from those theories to my theory is not a big one—for the most part, I have simply adjusted each of those theories in light of the others. I do not believe my theory, but I do believe it is a good working hypothesis. Here then is one way of generating working hypotheses in history: review current theories on a topic, note the insights of each and the inconsistencies between them, and adjust them to preserve the former and eliminate the latter. This procedure may seem obvious, but it is not a common one in the history of science. It should be more common, because—as I will explain in the next post—it is both more important, and easier to implement, than we are led to believe. Kuhn, Thomas. ‘Mathematical Versus Experimental Traditions in the Development of Physical Science’. Journal of Interdisciplinary History 7, no. 1 (1976): 1–31. Pickstone, John V. ‘Ways of Knowing: Towards a Historical Sociology of Science, Technology and Medicine’. The British Journal for the History of Science 26, no. 4 (1993): 433–58. 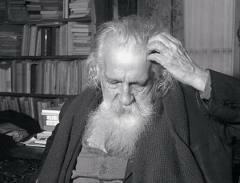 Gaston Bachelard (1882-1962) forming the scientific mind. There are two kinds of conference paper: the ones we give, and the ones we would have given if only we had been able to do enough research to back up our seductive hunches and our bold conjectures. At the 3 Societies conference in Edmonton in July, I gave a modest talk about an experimenter in 1730s France who had a notion of ‘exactitude’ that applied equally well to qualitative and quantitative research. The talk I would have given is much more sweeping and provocative. Frankly I would have preferred to listen to the ambitious talk, and not the modest and sensible one, but academic caution got the better of me. Here then is the sweeping and provocative talk, in summary form, safely packaged as a speculative blog post (or two). What was the second scientific revolution, or SSR for short? Many historians of science believe that something dramatic happened to the natural sciences in the decades around 1800. According to no less an authority than the Oxford Companion to Modern Science, this period witnessed ‘the transition to modern science.’ But there is no agreement on how to characterise this all-important event, as we can see be reviewing some of the literature on the topic (see the end of this post for citations of the books and articles I have in mind). Hélène Metzger, writing about the history of crystallography, thought that this was the period when naturalists abandoned the search for the causes of crystal form and focused on describing that form, preferably in mathematical terms. Gaston Bachelard extended this account to physics and chemistry. He made much of Coulomb’s discovery of the inverse-square law of electrical force. For Bachelard, this discovery marked a shift from a qualitative, allegorical, diffuse physics to a quantitative, abstract, precise physics. Michel Foucault’s account was almost the opposite of Metzger’s and Bachelard’s. According to Foucault, it was the first two-thirds of the eighteenth century that was obsessed with abstraction and classification (witness Linnaeus’ natural history) and it was the period around 1800 that saw the rise of a historical and causal natural history, one that studied the inner constitution of bodies and not just their surface appearances (witness the comparative anatomy of Cuvier). Thomas Kuhn had little to say about classification or inner constitutions or the historical sciences, but he had much to say about physics and mathematics. He characterised the SSR (he was one of the first to use the phrase) as the period when terrestrial physics became quantitative. Astronomy had been quantitative for millennia, and some branches of terrestrial physics (such as optics) had a long history of geometric treatment. But what of chemical processes, electricity, heat, and magnetism? As Kuhn pointed out, it was only in the last third of the eighteenth century that these phenomena were measured with precise instruments and described with mathematical theories. John Heilbron, in one guise, has put his finger on what was needed to apply Newton’s approach to celestial mechanics to terrestrial phenomena, and especially to electricity and magnetism. The key to establishing Coulomb’s law of electrical force, for example, was to see that the forces between macroscopic charges are complicated aggregates of the forces between the microscopic charges. Coulomb found a simple force law because he measured the forces between insulated spheres whose separation was large compared to their diameters. John Heilbron, in another guise, and in concert with Tore Frängsmyr and Robin E. Rider, has argued for the existence and importance of a ‘quantifying spirit’ in the last third of the eighteenth century. Heilbron and his co-authors define this spirit broadly to include not just precise instruments but also systematic methods of classifying plants, animals and minerals. Finally, John Pickstone argued that the key to events around 1800 was what he called ‘the analytical way of knowing.’ His best example was chemistry. The chemical revolution initiated by Lavoisier and co. was defined above all by the idea that substances are what they are made up of, where ‘what they are made up of’ does not mean ‘what philosophers consider fundamental’ but ‘what you get when you take them apart.’ Pickstone generalised this point by saying that the SSR saw the convergence of natural history, in the sense of surface descriptions of phenomena, and natural philosophy, in the sense of deep explanations of phenomena. Whereas these two activities had been practised separately before, as two ‘layers’ of knowledge, now they were practised as one. The problem with these seven theories of the SSR is that they are hard to reconcile with each-other. Metzger and Bachelard detect a shift away from causes and towards surface description, whereas Foucault detects a shift in the opposite direction. Pickstone gestures towards Foucault with his talk of ‘deep causes’, but unlike Foucault he thinks that the novelty was not the interest in deep causes per se but the convergence of that interest with the description and classification of natural bodies. It gets worse: three of the above authors (Kuhn, Metzger, Bachelard) think that mathematics was an important part of the story, whereas two others (Pickstone and Foucault) give it a secondary role. Pickstone’s thesis is probably the pick of the bunch, but it is far from perfect. He claims that natural history and natural philosophy were separate in the eighteenth century, whereas other historians maintain that the grounding of natural philosophy on natural history was the main achievement of seventeenth-century science. And if analytical thinking means understanding a whole in terms of its parts, as Pickstone sometimes suggests, surely this applies as much to the metaphysics of Descartes as it does to the chemistry of Lavoisier? My sweeping and provocative idea is this: we can resolve these conflicts, and get a more unified account of the SSR, by weaving together the best ideas of the six thinkers I have just reviewed. The unification proceeds in three steps, to be outlined in the next post. Earlier this week I received an email from Steven Weinberg, the physicist whose book To Explain the World was critically reviewed by Steven Shapin earlier this year. I commented on Shapin’s review in this essay, and in the process I attributed errors to Weinberg that he disclaimed in his email. Weinberg asked that I publish his email, and my reply, on this blog. I was happy to oblige. As I point out in my reply, Weinberg’s reaction to my essay is an additional reason to adopt the symmetry principle that I defended in earlier posts. No one who had read my book with an open mind could possibly reach such a conclusion. Throughout my book I was concerned much less with whether scientific theories were right or wrong, than with whether their proponents were advancing the methodology of science. For instance, as noted by a reviewer in the latest issue of The New York Review of Books, I emphasized that the good guess of Democritus—that matter consists of atoms—did not show that his reasoning was sound, and that in fact he had offered no reasoning to support this guess. Like all the pre-Socratics, his theory had no bite—it led to nothing that could allow it to be confirmed. Also, I explained that, although Ptolemy was wrong about the solar system, he had made an important methodological contribution in adjusting the parameters of his theory to get quantitative agreement with observation. I was careful to point out the errors of Galileo about comets and of Newton about diffraction. Later in your essay, you refer to other supposed ‘errors’ of mine. In short, of these too I am innocent. To your credit, you were honest enough to admit that when you wrote this you had not read the book, and were relying on Steven Shapin’s description. The dangers of such a procedure are evident. Thank you for taking the trouble of reading my blog essay on Steven Shapin's review of your book. I am glad that you found ‘a good deal with which to agree’ in the essay. I hope it was clear from the essay that my main target was Shapin’s review, not your book. If had intended to write a review of your book, I certainly would have read the book before casting aspersions on its content, as I do on two occasions in my essay. On one occasion (‘As Shapin points out, it ignores...’) my phrasing is ambiguous. I seem to say that I have information about your book that is independent of Shapin's review. This is not the case, and I have inserted a footnote to this effect. On the other occasion I say that I am making an educated guess based solely on Shapin’s review. Perhaps I should have added that this was a risky guess based on a small sample of citations plucked from the review. In any case, I have spelled this out in the footnote I just mentioned. In making this educated guess I was less interested in evaluating your book than I was in drawing attention to what is known in the trade as the ‘symmetry principle’ or ‘methodological relativism.’ As I have argued elsewhere on my blog, this principle is badly misunderstood. Even professional historians of science have trouble saying what it is and why we should adhere to it. There is a tendency to confuse the principle with the idea that historians should never evaluate past science, or that they should never invoke the truth of a belief to explain that belief, or even that intellectual factors matter little in scientific debates. The result is that many legitimate and useful practices are criticised on the grounds that they violate a principle that few historians are able to articulate in a coherent manner. My remarks on your book were part of my effort to separate the many putative symmetry principles from the real one. You imply in your email that you agree with this principle. I find this very heartening. In the past, historians and sociologists have had great trouble persuading scientists that there is a version of the ‘symmetry principle’ that is worth taking seriously. The One Culture?, which I reviewed recently on my blog, and which featured chapters by yourself and Shapin, contains ample evidence of this problem. It looks like we have found a solution. The symmetry principle would be worthless if no-one was ever tempted to violate it. I am grateful for the examples you invoke to show that you have not done so. I think the Galileo and Newton examples are equivocal. They would only be telling if you specified the causes of the errors in question. Did these men go wrong because they were temporarily disabled by a bad method or a social or psychological bias, or because even the best methods and the most clear-eyed scientists will go wrong some of the time? Both explanations are consistent with the symmetry principle, as I understand it. But the former is also consistent with a violation of the principle. The Democritus and Ptolemy examples are more convincing. There are comments under my blog essay that defend your book along similar lines, eg. the comments by Michael Weiss (here and here) and by Will Thomas (here). As you point out, however, it is better to read a book than to take someone's word on its contents. So I will reserve judgement on your methodology until I have had a good look at To Explain the World. I’m heartened by the convergence in our views. In particular, I do agree with the ‘symmetry principle’ as you have stated it, though this is one symmetry principle that had previously escaped my attention. I agree that the comments in my note to you about Newton’s fudging and Galileo’s error are not relevant to this principle. I included these comments only to exonerate myself from accusations of hero worship. As you say, the relevant examples cited in my note were those having to do with Democritus and Ptolemy. Lorraine Daston says that historians who write with the present in mind are misguided and old-fashioned. By contrast, Nick Tosh says they are post-modern. He compares them to contemporary novelists who draw attention to themselves, and to the process of writing novels, in the course of their novels. Against Daston, I said that it is not what you know about present-day science that matters, but how you use that knowledge. Against Tosh, I say that present-centredness is not post-modern because it does not leap from the fictional world to the real world but only from the present and the past. And very often it does not even do that. A work of history is written for members of one language game about members of another. To read such a work is not literally to jump to an alien language game, of course, any more than to ‘feel another’s pain’ is to jump to an alien consciousness, but good history writing can sometimes induce illusions along those lines. It is obviously crucial that the reader bear in mind the artificiality of such experiences. Genuine historical understanding requires more than a passive talent for empathy: it requires an active appreciation of the logical gap separating us from a past culture, and of the historian’s role with respect to that gap. We can draw an analogy with fiction here. A naïve novel reader is simply someone who can lose himself, on demand, in a make-believe world spun by the novelist. A sophisticated reader (also) understands something about the process of creative writing (as an activity in the real world), and about the kinds of interactions that take place between author, characters and reader. The aesthetics of fiction are not just about pleasing the first sort of reader. I was just sitting there, not stirring, not even breathing, like the pub’s pet reptile, when who should sit down opposite me but that guy Martin Amis, the writer. He had a glass of wine, and a cigarette—also a book, a paperback. It looked quite serious. So did he, in a way. What Goffman called ‘breaking frame’ and the Russian formalists ‘exposing the device’ is not supposed to cheapen the reader’s appreciation of a particular novel; it is supposed to deepen his understanding of fiction in general. If one can’t escape the contrived nature of the novel-reading experience, then, as an author, one might as well stop trying to and instead make artistic points about (and through) it. I will end this coda by hazarding a prediction, inspired by the history of the novel but grounded upon the above argument. The aesthetic bias that lies behind cultural history’s methodology (and, arguably, SSK’s philosophy) may not in fact be a very long-lived one. Future historians may read our cultural histories, including our histories of science, rather as we read the great classics of Victorian fiction: marvellous achievements in their own way, but ultimately limited by the strict literary form to which they adhered. Tosh may be right that cultural histories, with their lush reconstructions of past beliefs, will soon be replaced by a more knowing kind of history. But if the replacement is truly post-modern, it will not be present-centred history as we know it. One reason is that historians write about the world we all live in whereas novelists write about a different, imaginary world. This means that the ‘authorial intrusions’ of the historian as less jarring than those of the novelist. When Martin Amis put himself in his novel, he stepped from the real world to the fictional world. When Mary Boas-Hall criticised Thomas Hobbes, she stepped from the twentieth century into the seventeenth. The former jump is (we might say) metaphysical, whereas the latter is merely chronological. Only the former jump has an air of paradox that invites the label ‘post-modern.’ Fiction does not work unless the reader believes, at some level, that the events being described really happened. The effect of the ‘authorial intrusions’ that Tosh associates with post-modern novels is to remind the reader that the events didn’t actually happen. There is no equivalent paradox for history. It is true that history only works if the reader believes that the events being described happened in the past. It is also true that, when the historian refers to himself in the course of a book, he reminds the reader that the book was written in the present. But there is no paradox here. The reader is not asked to believe that certain events both did and did not happen. He is asked only to believe that historians can find out about the past. My other objection to Tosh is that, despite its name, present-centred history does not necessarily involve chronological jumps. Suppose a historian writes: ‘the mercury in Hobbes’ barometer was held in place by the pressure of atmospheric air, not by nature’s aversion to vacuums.’ The event being described here, the motion of the mercury, is an event in the seventeenth century, not in the twentieth. The statement does not require a chronological leap any more than the statement ‘Boyle was a devout Christian’ requires such a leap. Granted, we can easily introduce a chronological leap, for example by prefacing the sentence with ‘As we now know,’ or ‘In my opinion.’ But the critics of present-centred history of science do not make such nice distinctions—they would criticise the statement even without the prefatory phrase, calling it anachronistic. The statement does make a leap, but it is one of narrative perspective rather than chronology. A historian who makes that statement has departed from Hobbes’ perspective, since the statement contains an explanation that Hobbes rejected. Which perspective has the historian adopted, if not Hobbes’? We could say that he has adopted Boyle’s perspective. But that would raise the question of why he has favoured Boyle over Hobbes. Worse, in many cases there will not be a Boyle waiting in the wings to serve as spokesperson for present-day theories. It looks like we are forced to say that the historian as adopted his own perspective, which suggests that he really has made a chronological leap. But there is another option. We can borrow a phrase from literary criticism and say that the historian has adopted the perspective of the omniscient narrator, the voice that speaks for no-one but is aware of everything. In fiction, the omniscient narrator often describes events that none of the characters in the story will ever be aware of. To pick a random but vivid example, there is a passage in Steinbeck’s The Grapes of Wrath that describes the gradual decay of a house abandoned by share-croppers. The whole process is witnessed only by pigeons and stray cats. Yet there does not seem to be anything jarring or post-modern about this passage. It is completely different from the Amis passage that Tosh quotes. The ‘authorical intrusions’ of present-centred history are more like the Steinbeck passage than the Amis one. If the statement about Hobbes’ barometer is not post-modern, what would count as post-modern history of science? Well, what makes the passage from Amis post-modern? Tosh highlights the following two features. Firstly, Amis refers not just to himself but also to process of writing novels. Secondly, this reference draws attention to the ‘artificiality’ and ‘contrived nature’ of novels. So we are looking for histories of science that refer to the process by which the histories were researched and written (not just to the beliefs of the author). We are also looking for histories that draw attention to the weakness or partiality of our knowledge of past science (which is not the same as drawing attention to differences between past and present science). Perhaps there are histories that meet both of these criteria, but I do not know of any. What I do know is that histories of this kind would be quite different from the present-centred histories of Whewell or Sarton or Weinberg. Expand post.